Director James Cameron hasn’t released a film since he made "Titanic" way back in 1997, but the self-crowned King of the World comes back with a vengeance Dec. 18, when he unleashes his sci-fi epic "Avatar." "Avatar," with a budget north of $300 million, will be released in 3D with all kinds of shiny new special effects designed to distract you from the fact that Cameron just isn’t that great of a screenwriter. 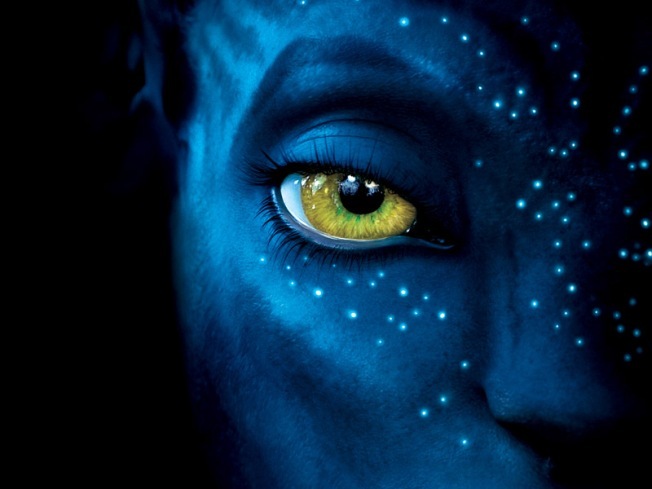 Hey, do the Na'vi (the aliens in the movie) look like smurfs to anyone else?! The "Dance With Wolves" dig looks fairly accurate judging by the trailer. The plot of the film revolves around an Earthling (Sam Worthington), who is sent to a planet named Pandora to infiltrate the natives there and help humans mine a bunch of precious space rocks. Or something. I don’t know. OOOH LOOK, BIG ROBOT EXOSKELETONS! There was another SciFi flick released a while back that featured very tall aliens. That movie was called "Battlefield Earth." Never a good omen. Anyway, the special effects look predictably impressive, but the CG aliens look fairly goofy. I wouldn’t say they look like Smurfs, but they definitely look like the blue lady who danced next to Jabba the Hut in "Return of the Jedi." There are a lot of things about this trailer that will remind you of the recent "Star Wars" trilogy, and that’s not a good thing. You’ll have to wait until December to see if Cameron delivered on his promise to revolutionize the film viewing experience, or if he just crammed as many effects into each frame without focusing on pesky details such as plot and character.